The Xiaomi Mi 3 is comparatively a great smartphone considering its high-end specifications and aggressive pricing of Rs. 13,999. The Mi 3 has been selling like hot cakes in India since its availability and till date most people aren’t able to buy it due to insufficient stock. Mi 3 packs MIUI ROM that offers a user-friendly interface and has many useful functionalities integrated which eliminates the need to use third party apps. For more advanced capabilities, one can root their device to access some amazing apps that require root and can even install custom ROM or custom kernel of their choice. 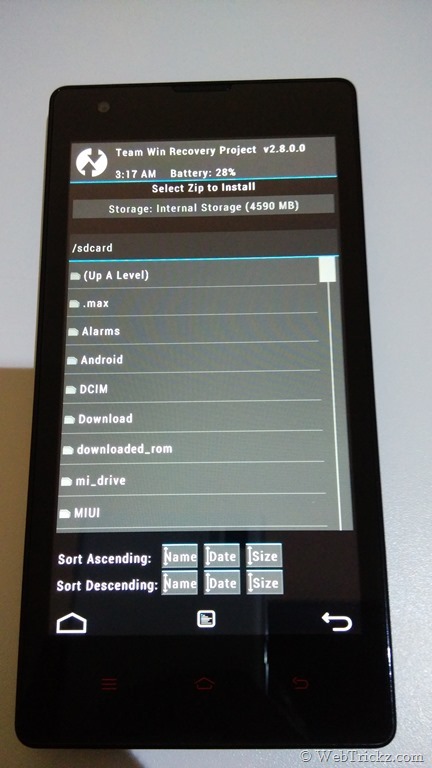 Perhaps, if you’re interested in rooting your Mi 3 then there is an easy way to do it, without the need to use a computer or run any commands. NOTE: This method is for Indian version of Mi 3 only. 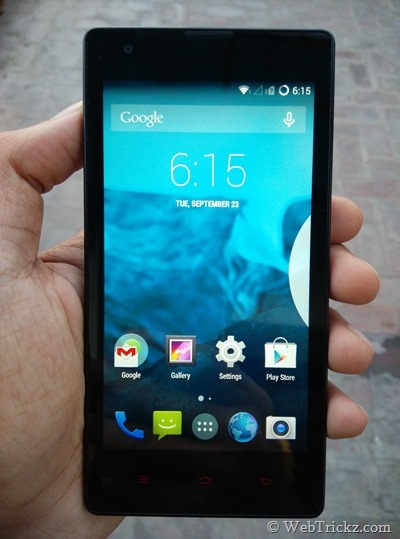 We’ve tried it on Indian Mi 3W running MIUI KXDMIBF23.0 (Stable build). You can use this guide to root build 15, build 18, build 19, build 22, and build 23 of Mi 3. So, make sure to check your ROM version and download the root file accordingly. 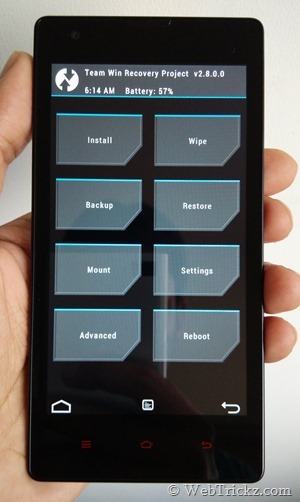 It’s also possible to unroot the Mi 3 with the same method. Disclaimer: Rooting the device may void its warranty. Proceed at your own risk! 1. 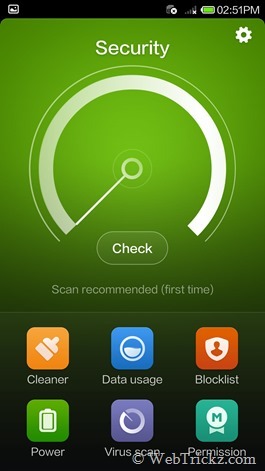 Check the MIUI version by going to Settings > About phone > MIUI version. Download the relevant root.zip file from XDA thread. 2. Go to Settings > General settings > About phone > select ‘System updates’ or directly open the ‘Updater’ app and tap on Menu key. Voila! Your Mi 3 is now rooted. You can use the ‘Manage root permissions’ option in Security > Permission to manage the rooted apps and allow/ deny their root permission request. 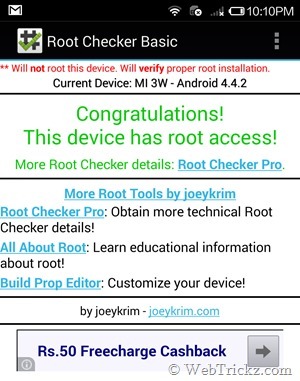 To confirm root, install the Root Checker app and make sure to grant it root access. 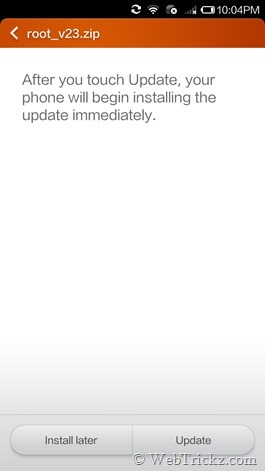 Note: After rooting, you won’t be able to update your Mi 3 using OTA updates but can simply install the OTA update file using the above stated method. Alternatively, you can unroot the phone, update to the latest OTA update and then root it back. To unroot your Mi 3, simply download the correct unroot.zip and apply the ‘unroot.zip’ file following the method stated above. After the update is complete, reboot the phone. Now your phone will be unrooted and able to receive and install OTA updates. 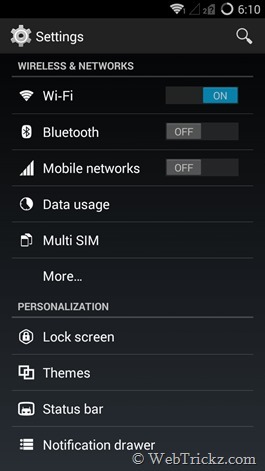 Earlier, we shared ‘How to root Xiaomi Mi 3 Indian version’ easily by installing the necessary files through Updater, both for rooting and unrooting. Perhaps, if you’ve updated Mi 3 or Mi 4 to MIUI v6 Developer ROM (based on Android 4.4.4) then you might be looking to root your MIUI 6 device. Well, that’s not required as MIUI developer ROMs are rooted by default! But the root permissions aren’t provided to apps by default. Though, one can grant root access to an app through the Permissions app but that’s pretty annoying in MIUI 6 as there are 5 pop-ups, each with a timer of 5 seconds. That means, you need to wait for 25 seconds before you can grant root permissions to an application. Annoying and time consuming, isn’t it? 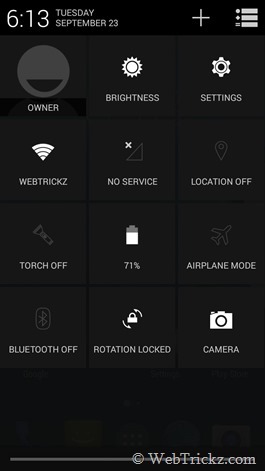 Method 1 – This is the basic and default way to manage and grant root permission in MIUI 6 developer ROM. Firstly, open the root app and it will not detect root. Then go to Security > Permissions > Root access and then enable the toggle for that app. You will see 5 different pop-ups, each for 5 seconds. Wait and keep confirming to grant root access to it. 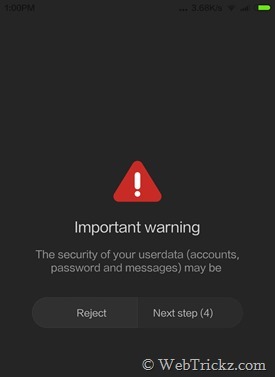 This is an easy way for users who use root apps frequently and are annoyed with the default procedure stated above. 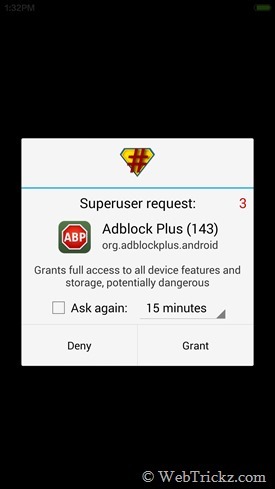 This will let you install the popular SuperSU app on MIUI 6 to grant root permissions to apps in just 1-click without any wait and manage your rooted apps. 1. Download and install SuperSU app from Google Play. 2. Open the SuperSU app. 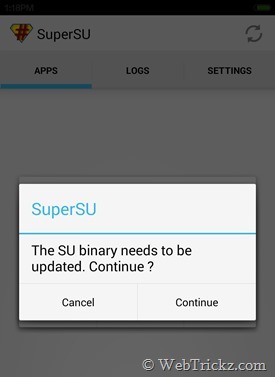 A pop-up saying ‘The SU binary needs to be updated. Continue?’ will appear. Click on Continue. Another pop-up will now appear, select the Normal option. 3. Now wait for a while until you see the pop-up saying ‘Installation failed!’. Just click OK.
4. Go to Security > Permissions > Root access. 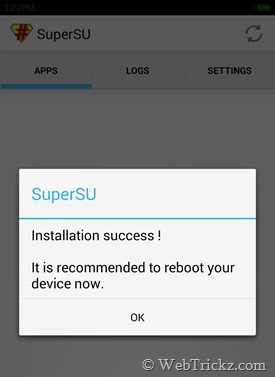 Enable root access for SuperSU app. 5. Open the SuperSU app again, select Continue > Normal. The app will now get updated. 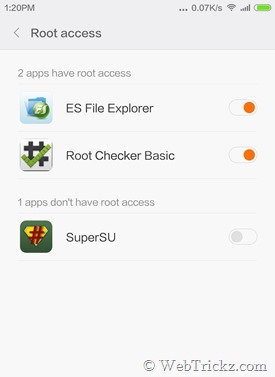 Next time you open a root app, it will open up Superuser request for root permission. 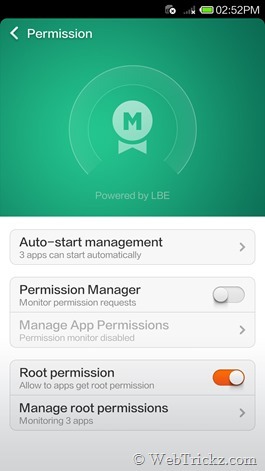 This way you can bypass all those annoying timers and the default Permissions app for root access. 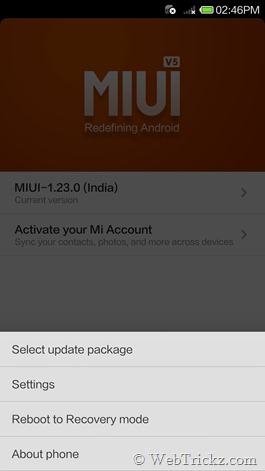 As you’re using a developer ROM, you’ll still be able to get weekly MIUI updates. 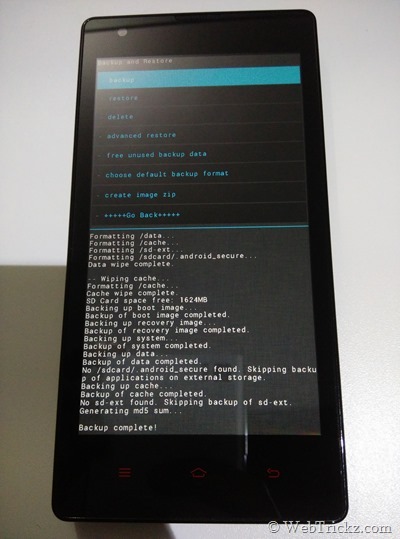 Recently, we shared a guide on “How to install AOSP ROM on Mi 3” following which several users asked similar thing for Redmi 1S. 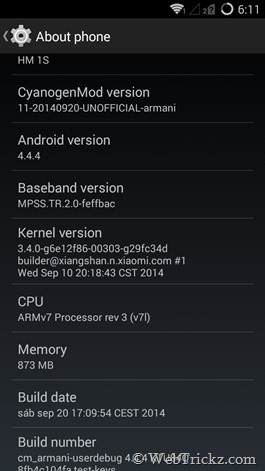 Fortunately, an unofficial CyanogenMod ROM (CM11) based on Android 4.4.4 KitKat is now available for Xiaomi Redmi 1S. A lot a users have been complaining about Redmi 1S heating issues and actual available RAM being too less, varying between 290-300MB. This is a known issue with Redmi 1S phones and might be fixed in future update. Perhaps, if you’re concerned and at the same time interested in trying out a custom Android ROM on Redmi 1S, then you can do so using the procedure stated below. This CM ROM offers multiple languages, supports Dual-SIM, has Superuser Root enabled by default, and extends the available space up to 5.40GB as compared to 4.72GB with MIUI. NOTE: This process will wipe your entire internal device storage, including your data such as photos and media files. So, make sure to backup all your important data first. Step 1 – Install CWM recovery (For Redmi 1S Indian version). Download here. To install CWM on Redmi 1S, download signed_cwm_update.zip and rename it to update.zip. Transfer the update.zip to the root directory of phone. Go to Updater app, press menu button and then click “Reboot to recovery mode”. Choose English, then select ‘Install update.zip to system’ and select Yes. Now go back and reboot to system. Step 2 – Make sure your device has a microSD card inserted, 2GB one would be sufficient. Then transfer both the above files to the root directory of your external storage (/sdcard1). Take a Nandroid backup of your device – It’s highly recommended to take a backup via CWM in case you want to revert back to MIUI. To do so, go to ‘backup and restore’ and select the backup option. The backup includes MIUI ROM, user installed apps and their data and your settings. The backup will be saved on your external SDcard in the “clockworkmod” folder.Note: If you get an error while taking the backup then first perform a factory reset using CWM and then take the backup again. (This won’t backup your installed apps though). Select ‘Wipe data/ factory reset’ and confirm to wipe. Select ‘Wipe cache partition’ and confirm. Go back and select ‘Install zip’. Select ‘choose zip from sdcard’ and then choose the ‘cm-11-20140928-UNOFFICIAL-armani.zip’ file and install it. Similarly, install the gapps.zip. (Make sure to flash the CM11 ROM file first). Now go back and perform a Wipe data/ factory reset and Wipe cache again. Go to Advanced and ‘wipe dalvik cache’ too. Reboot your phone by selecting ‘reboot system now’. That’s it! 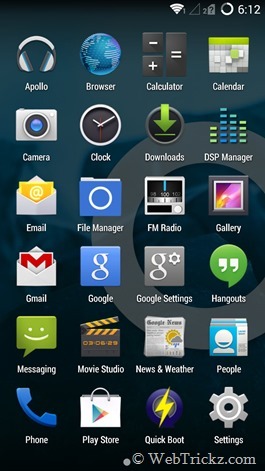 Your phone should now boot up running CyanogenMod custom ROM. P.S. We’ve tried this procedure on Redmi 1S (Indian version) and the CM11 ROM seems to be working fine, just has some minor glitches. Let us know if you’ve any questions! Xiaomi Redmi 1S comes pre-loaded with MIUI that itself is a great ROM, packed with impressive features and customization options. However, if your experience with MIUI onRedmi 1S isn’t satisfactory then you might be looking to install a custom ROM for enhanced performance. 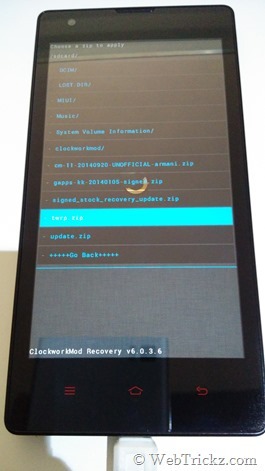 In order to flash a custom ROM on Android phones, you need to first install a custom recovery such as ClockworkMod Recovery (CWM) or Team Win Recovery Project(TWRP). Though, both these recoveries are very popular but currently CWM for Redmi 1S isn’t complete and lacks many features, such as you can’t select .zip files to install from internal storage. Luckily, the amazing TWRP recovery is officially available for Redmi 1S, which is certainly the most stable and full-featured recovery for Redmi 1S with support for Touch interactive menu. 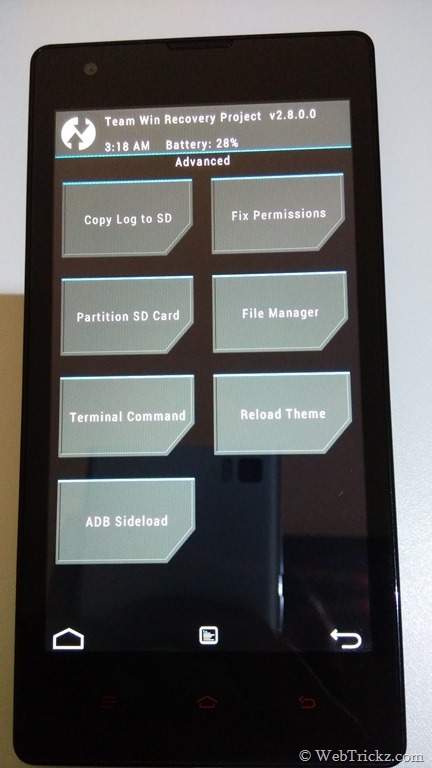 TWRP 2.8.0.0 for Redmi 1S includes touch interface, full SELinux (4.3+) support, Backup encrypt function, fully functional USB On-The-Go (OTG) and MTP support since 2.8.0.X. 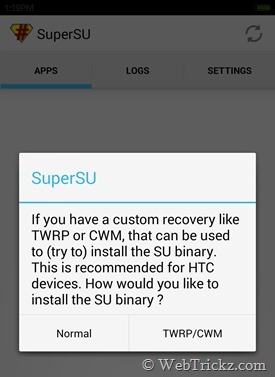 It’s advisable to install TWRP over CWM if you’re interested in several additional options it offers. Unlike CWM, TWRP is pretty tricky to install on Redmi 1S as the typical installation methods require you to first root the device and then install TWRP using the TWRP Manager app. Whereas, the other method requires to boot Redmi 1S into fastboot mode and then flash the recovery.img file via command line using a computer. Don’t worry, we’ve figured out an easy way to install TWRP on Redmi 1S by following neither of the 2 methods stated above. Note: With the below procedure, you will be able to first install CWM recovery on Redmi 1S and then install TWRP using CWM. In case, you’re just interested in CWM recovery then you can skip rest of the following guide and stay with CWM only. Best of both worlds! 1. 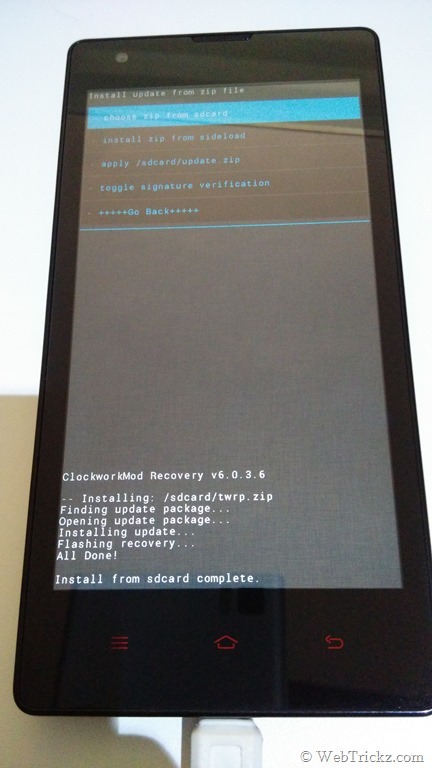 Download ClockworkMod (CWM) recovery v6.0.3.6 for Redmi 1S WCDMA. 2. Transfer the downloaded "signed_cwm_update.zip" file to the root directory of your phone’s internal storage. 3. Go to Updater app, press menu button and then click “Select update package”. Then select the CWM zip file and tap Update. Your phone will reboot now. Installing TWRP using CWM – We need to install CWM because TWRP update.zip file can’t be installed using the stock Mi-Recovery as it gives “signature verification failed” error. 5. Reboot into CWM recovery – Go to Updater app, press menu button and then click “Reboot to recovery mode”. Alternatively, power off the phone and then press “Power + volume up” button simultaneously to boot into recovery mode. 6. Select ‘Install zip’ > ‘choose zip from sdcard’ and then choose ‘update.zip’ and install it. Now go back and Reboot your phone by selecting ‘reboot system now’. That’s it! 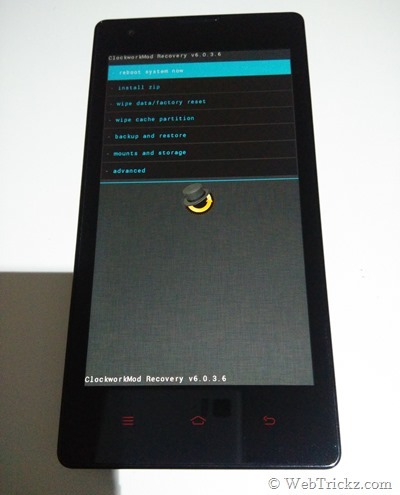 Next time you reboot into recovery, you will find the TWRP recovery v2.8. NOTE: In case, your device gets stuck at Mi logo or the apps force close after installing TWRP, then boot into TWRP recovery and “wipe cache and dalvik cache”. Then reboot into system (Wait for a few minutes while the phone reboots). ~ We’ve tried this on Redmi 1S WCDMA running MIUI v5 (build JHCMIBH41.1).